Last week, during our heat wave – almost 90 degrees! – the newest member of our family fell into the four month sleep regression. The four month sleep regression is a transition that generally occurs between 3-5 month of age. During this time baby sleep transitions from that “sleep through anything” stage into a more mature sleep cycle. It’s no secret that I’m pretty good at dealing with infant sleep. I even wrote the book on how to get your baby to sleep great right from the start. But this whole waking up every hour (yes, every hour during the heat!!) caught me off guard. After the heat subsided and baby was still getting my up waaaaay too often, I knew it was a case of the dreaded four month sleep regression. After a bit of googling, I realized the culprit: less daytime nursing due to general excitement, along with skipping too many naps. Try to nurse more during the day (note: I said try. A four month old who wants to smile instead of eat is a tough, but cute, customer). I temporarily stopped trying to transition him from the cradle to the crib. We use this amazing cradle beside our bed. I love it, but I’ve been testing him out at naps in the crib in the room that he will eventually share with his older sister. During this regression we’re putting the brakes on the crib temporarily. That was it! 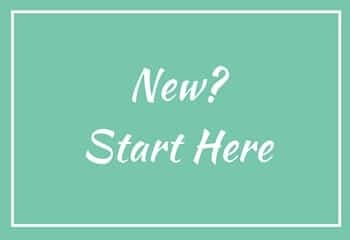 No “add rice cereal to baby’s diet” as one article suggested (horrible idea!!!) No complex schedule juggling as another suggested. Viola! Happy baby again. And, a happy baby means …a happy mama! Have you ever dealt with the four month sleep regression? P.S. 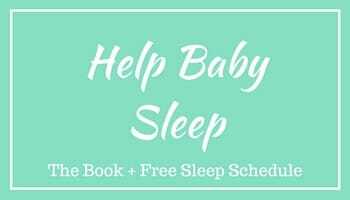 – Interested in a free infant sleep schedule that will help you know when your baby should be napping or awake? Here you go (scroll down to the bottom of the page for the free schedule).